Treasures abound in supermarkets. I found this flavored milk tea in the supermarket beside my hotel during my last visit to Tokyo. I've been disappointed time and again with flavored milk tea, but decided to try this since it's made by Kirin. My good friend Uzuki-san gave me two bottles of milk tea before I left Tokyo. One was the Kirin cherry blossom milk tea and the other was the Kirin chocolate milk tea. I luckily found some bubble wrap and managed to bring it back to Singapore safely. I'm always anxious with trying out new things, so I dilly-dallied for a week before I tried the drink. 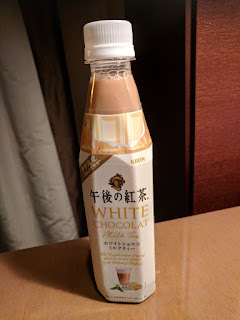 I had sampled the Kirin chocolate milk tea when I was in Tokyo and absolutely loved it. I found it at a supermarket while I was looking for some Japanese ingredients to bring back home. I didn't know about the cherry blossom variant until Uzuki-san surprised me with it at work. Because the packaging was pink I had expectations that the drink may taste a bit like strawberry milk. I had no clue how it might taste. After taking a tentative sip I was surprised to discover that it tasted very fresh. The usual milk tea I have makes you sober. 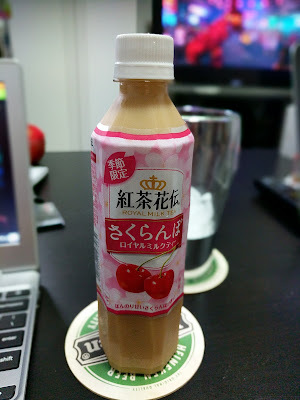 The Kirin cherry blossom milk tea gave me a refreshing buzz. I tried to prolong finishing it, but I gulped it down in no time since it tasted really good. Oishii! How I wish Kirin will make it available in Singapore! I tried the colorless Suntory Milk tea a few months back when I went to Japan. I was ecstatic to find it in the convenience store at the arrival area in Narita and promptly got a bottle. Took a few photos just before I boarded the bus to Tokyo. 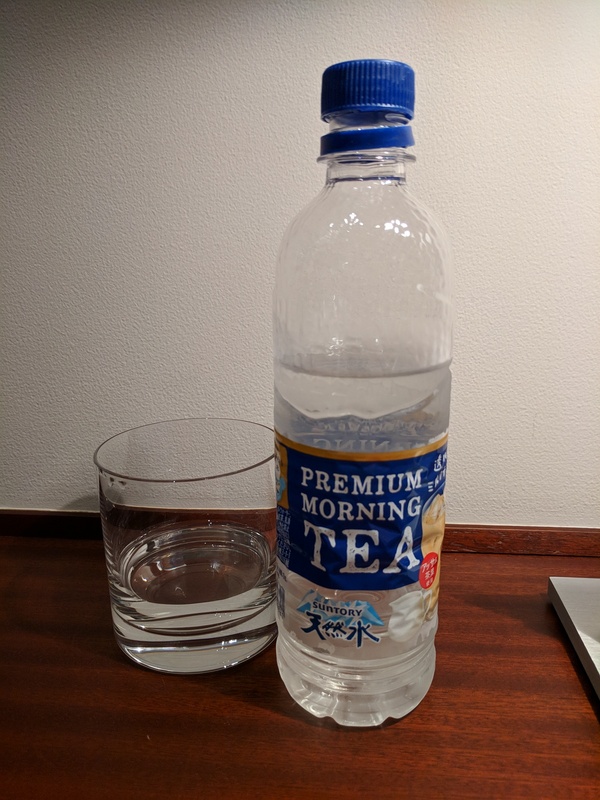 I was only able to sample the clear milk tea when I got back from work that evening. I was thinking at the back of my mind that maybe when I pour it in a glass it will magically turn into its usual light brown color. It didn't. Here's a video when I sampled the drink. Anyway, maybe I expected too much from the drink, but I was a bit disappointed with how it tasted. 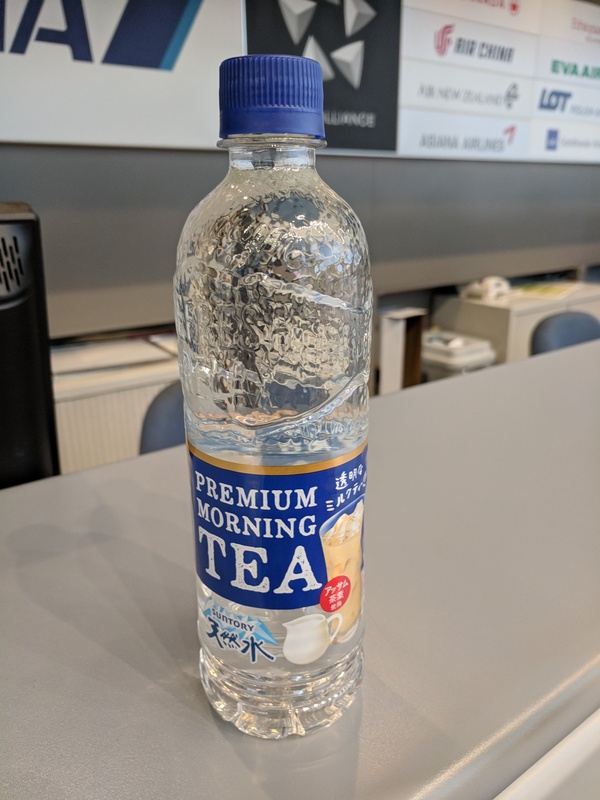 It did taste like milk tea but there was something missing and I couldn't put my finger on what it was. I just thought that maybe something was lost when it was processed to be clear. I'm also not too comfortable with the idea that there were additional processes made to achieve its colorless state. It was a fun experience for me though and I had other family/friends try it out too. Their assessment was the same though -- something lacking.